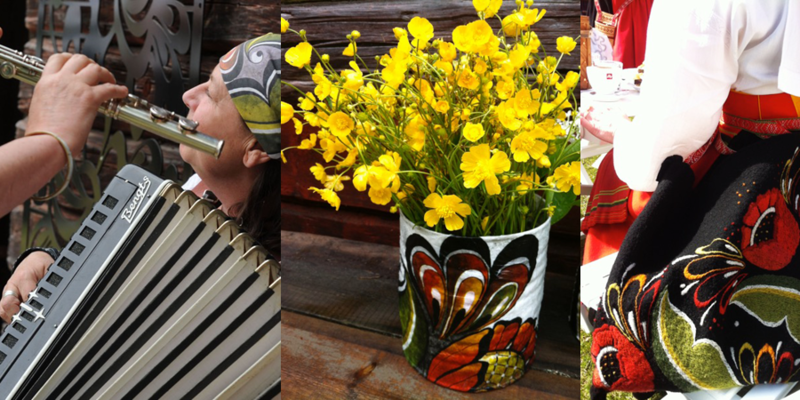 Britt-Marie Nilsson from Mora is an artist and designer with roots and expertise in Dalarna folk art and design tradition, kurbits and dalahäst painting. She builds her own tradition and mixes the traditional painting with graphic calligraphy. Britta creates Modern Kurbits in design and furnishings that are genuinely animated in our own time. floral adornment to a modern art form that works in the present. combine tradition with modern design. ingenuity and creativity always makes itself the best in the present. Folk music is my greatest source of power. Music unites, delight and comfort. Above all, it goes straight to the heart without detours by the brain.